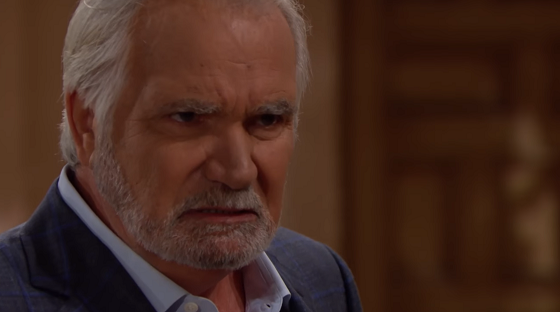 Monday's episode of The Bold and the Beautiful featured a powerful final scene in which Sheila (Kimberlin Brown) revealed to Eric (John McCook) that she believed Quinn was having an affair with Ridge. "I think your wife is having an affair with your own son," Sheila told her ex-husband. Needless to say, Eric did not take it well. He threw a glass across the room, smashing it into bits. Watch the revelation in the clip below. And check out a sneak peek video from Tuesday's B&B episode.